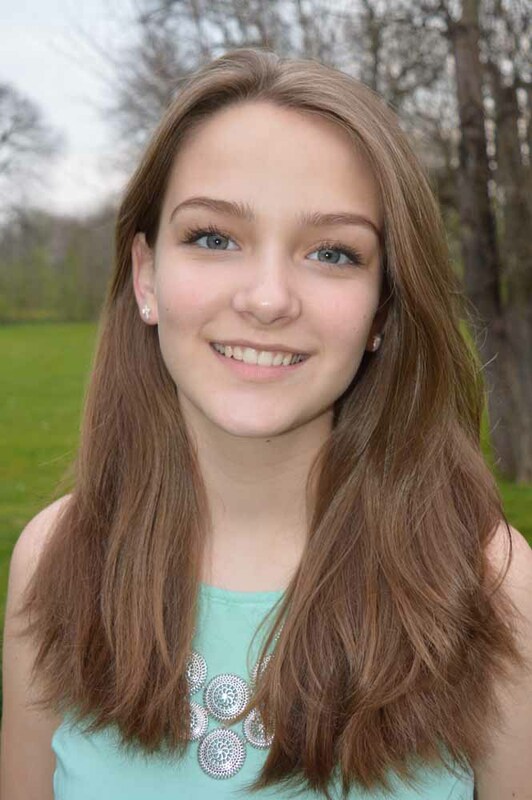 Abigail Haffey is a 14 year old ninth grade home school student. She loves singing, acting, learning, and playing the piano. She is highly respected by her teachers and peers, and is frequently asked to take lead roles in projects requiring strategic leadership. For example, after she graduated from Music Camp and StarTalk/STEM Mandarin Chinese Language Camp, she was asked to return to assist the leaders in those camps. In her first audition, she earned the lead female role for The Academy of Arts Production "The Lions of Trondheim" at age 13, roles that are usually played by high school juniors or seniors. This year she had a lead role in the Academy of Arts's production of "David, The King". She continues to develop her acting talent and excels in theatrical productions. In 2015, Abby won First Place in the Vocal category in the 2014-2015 Optimists Club Talent Competition with her interpretation of "Per non Penar" by Emanuale d' Astorga. The previous year she won First Place in the Optimists Club Talent Competition in Dramatic Interpretation. Abby's first love is singing. She has been a member of the Frederick Children's chorus for six years. With her exceptional work ethic, she has taken full advantage of the musicianship and skill building that the chorus offers. She has also taken private voice lessons from Frederick's well known voice coach, Carol DeSantis. She consistently earns acceptance into the chorus' Touring Ensemble where she has sung for an ACDA demonstration choir, Frederick's mayoral inauguration and at Festivals at various venues including Carnegie Hall, NYC. With her crystalline soprano voice and vivacious presence, she is often chosen for prominent solos or duets including "Laudamus Te" from Vivaldi's "Gloria."